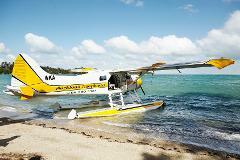 Charter this beautiful machine and do your own tour. Minimum of 3 hours flight time per 24 hours charter. Charter this incredible beauty and do your own tour. 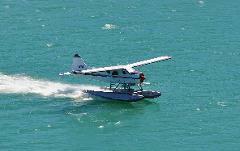 As an Amphibious aircraft WKA is the perfect ride for the Auckland region as you can land on any runway and on the water. Minimum of 3 hours flight time per 24 hours charter. Your pilot will slide onto the water at Scotts Landing, which is one of the most idyllic, New Zealand water front spots. To meet the Mahurangi Oyster, Shukle Ferry for a decadent afternoon. 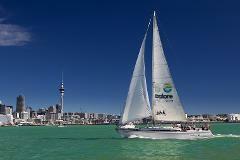 This exciting new experience, show cases the Hauraki Gulf from both Sea & Sky.